Every spring as I’m starting work in the vegetable garden– hours upon hours spent planting seeds, weeding, building garden boxes, mulching, composting, transplanting, watering, and generally siting around impatiently waiting for something to grow– I tell myself that this year, this year, is the year I won’t let any of my harvest go to waste. I can picture it: Walking the garden every day checking for cucumbers that are ready to be picked (and made into a delicious salad). I’ll turn bushels of green beans into snacks. Tomatoes will be turned into salsa and sauce and, of course, breakfast. I’ll pickle everything. And, listen, I have a pretty big garden, so even during my laziest summer I eat a lot of my own veggies, but last year in particular I might find time to make one meal a week with food from the garden and the rest went to the chickens, or to friends, or sat on my counter until it basically turned into a science experiment. Other than the delicious peach jam I made, and some peppers I canned with friends, I didn’t manage to preserve one thing from my garden. This year, I vowed it would be different, and guys, so far? Not ONE zucchini has gone to waste. 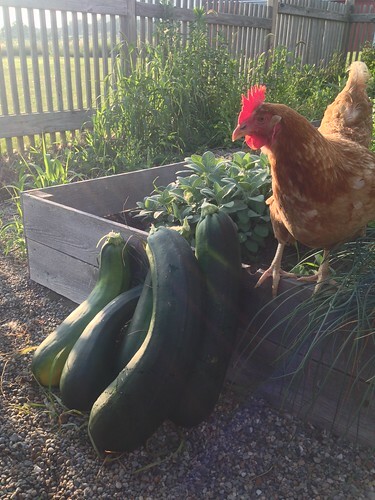 Even when I forgot to go out to the garden for a couple of days and a handful of them went from being normal-size zucchini to 8-pound monstrosities that were twice the size of my chickens. I grow zucchini, onions, and garlic in the garden, so I always have plenty of those on hand and use them for the base of this veggie mix. I’ll almost always throw in some mushrooms, and a red or green pepper if I have one on hand. I sauté the mix until cooked but still crunchy and throw in some fajita-style seasoning (either from a packet, or a combo of chili powder, cumin, cayenne, salt and pepper). 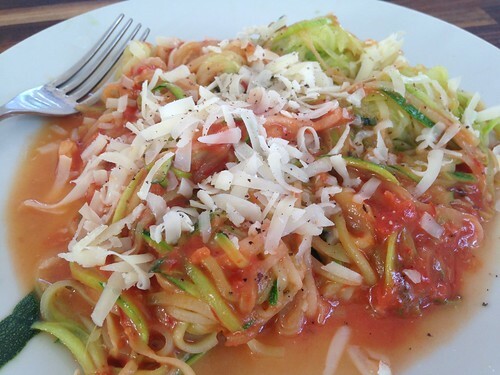 I’ve been hearing about zucchini “noodles” for years, an let me just say this… generally I’m not into that thing where someone takes a food I love and then makes a version of it that looks vaguely the same but uses totally different ingredients and calls it something like “healthy spaghetti.” Just no. I come from a long line of loud Italians, do not mess with my pasta people. It’s delicious. I mean, it doesn’t taste like actual spaghetti, but I like zucchini and I also like things in a red-sauce with parm on top, so… win-win. And I’m pretty sure this is actually faster than cooking pasta noodles. 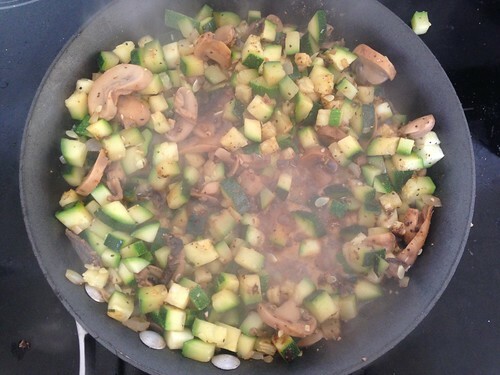 You really only need to sauté the zucchini for maybe 2 minutes. Possibly less. 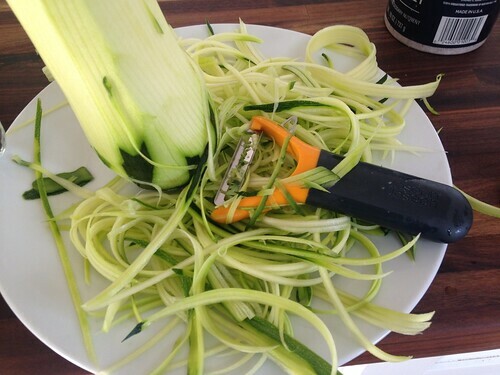 And you really don’t need any fancy kitchen equipment to make a zucchini noodle… a julienne peeler works fine, takes up as much space as a carrot peeler, and is just as easy to use. 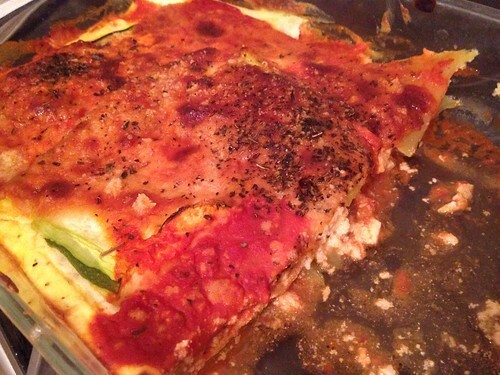 And, while we’re on the “let’s pretend that subbing zucchini for pasta is a legit thing to do” train… I did also try a zucchini lasagna by thinly slicing a zuc (with a knife) and layering it with a cheese (ricotta, parm, and egg) and a red sauce, and then baking at 375 for 45 mins. And it was also actually pretty good. I mean, it’s no substitute for my grandma’s lasagna, but it’s a great way to use up a large zucchini, and lasagana makes the best leftovers, so this fed me for a solid 4 days. If you’re looking at that picture like, “where’s the zucchini? ?” YEAH. IT’S THE SAUCE. Basically you caramelize a whole zucchini, add some lemon juice and fresh basil, toss with pasta, and it’s pretty damn tasty. Here’s the legit recipe. Okay, also not as quick and easy as my Spicy Veggie Mix, but one Sunday morning as I was staring at the four extra-large zucchinis on my counter wondering how in the hell I was going to eat them all, I remembered this video I’d seen on Instagram of a sweet-potato cake topped with a fried egg, and it occurred to me I might be able to do the same thing with some of my zucchini. I basically just used the exact same recipe, but subbed zucchini for the sweet potato, and it was pretty delicious. 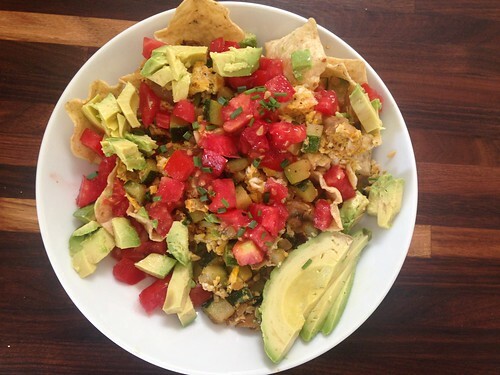 I don’t know that I’d go to that much trouble regularly, but every once in a while I like to make myself a nice Sunday brunch using things from the garden, and this recipe was absolutely perfect for that. And, there are a lot of other recipes I haven’t tried yet… a roasted zucchini and corn salad is on my list (once my sweet corn is ready to harvest) and, of course, zucchini bread. You must allow some of your zucchini to get super big so you can do stuffed zucchini. Take a giant zucchini, split it in half and scoop out the seeds, and stuff with diced onion, garlic, cooked ground beef, cooked rice, loads of dill, chopped tomatoes, salt & pepper. Top with strips of bacon and cheddar cheese. Bake at 350 45 min to 1 hour until very soft. Slice and serve (don’t eat the skins). So, so, so good. If you haven’t done so yet you should really make zucchini bread or cake, it tastes amazing and is super moist so it will last for days without getting dry!! this is what I was going to suggest! I love regular and chocolate zucchini bread. 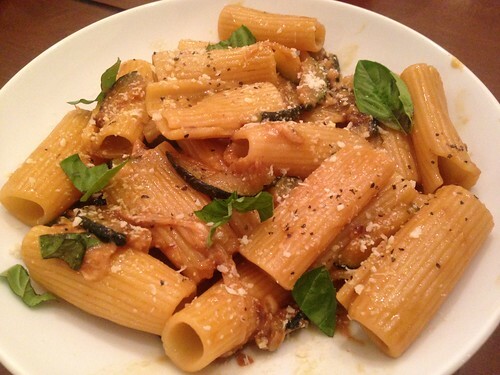 The best part is that you don’t have to use fresh zucchini. My favorite (easiest) way to preserve it when you get to that stage of garden where the giant ones are overwhelming you and holy cow you just can’t eat or give away that many is just to grate the whole zucchini in a cuisinart or kitchenaid and plop it in the deep freeze in ziploc bags. It lasts forever that way and you can thaw it out and plop it in baked goods. No advanced cooking required. 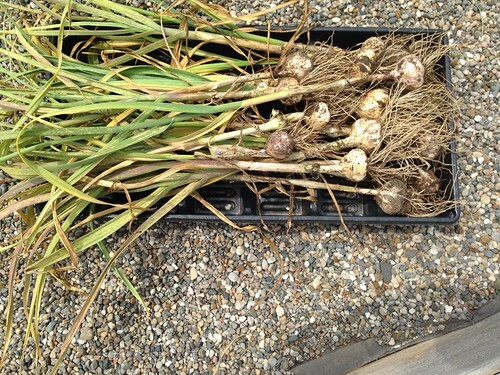 One thing you can do with a glut of veggies is donate some to your local food bank. I did that a couple of years ago when I had so much zucchini, people were running away from me. I was even stopping strangers and giving them zucchini, like a reverse mugging. Usually during this time of year I try to make zucchini chocolate chip muffins. Not super quick but they are SOOO amazing. 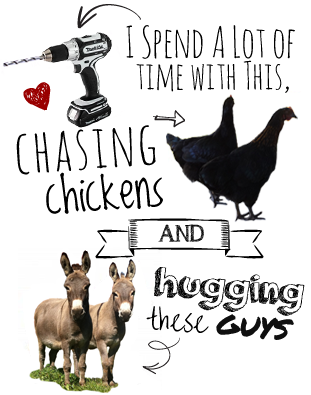 And I eat them for breakfast because they are “muffins” and full of a zucchini! Otherwise we just are usually grilling a ton of zucchini and yellow squash. yummmmmmmmmm!!!!!!!!!!!!!! all those look amazing! Looks like you have some great recipes. Thanks. My wife takes huge zucchini and peels and slices it then treats it somehow and bakes it like apple crisp. If you don’t tell someone, they won’t know they aren’t apples. Not something to do all the time, but works really well for huge zucchini. Please post that recipe Kevin. All those look great Kit. Here is the link to the recipe in Taste of Home. 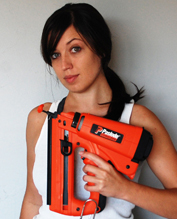 I believe that is the one my wife uses. She likes to use the really big zucchini for this recipe. I agree with Renee. I need this recipe! I am also Italian and not a fan of “substitute” pasta options. 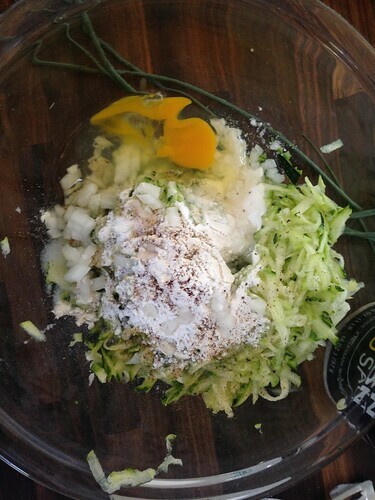 I’ve never tried one that was good or a close approximation of real pasta so I was pleasantly surprised when I tried making zoodles last year and LOVED them. My theory on why they’re so good is because they are NOT trying to masquerade as pasta. They’re obviously something different, but they happen to taste good with the sauces and toppings you put on pasta probably because zucchinis have a very neutral flavor. I find they’re also a great substitute for a bed of rice for fish or any type of stir-fry Asian dish. I have a recipe for canned pickle relish that uses zucchini. I modified it and it is pretty spicy. That uses up some of my harvest. The zucchini variations look incredible. I can’t seem to grow zucchini anymore – squash vine borers, fungi, insects. It just won’t grow here now. I’m not growing squash for a few years to see if it will be better after I let my garden lay fallow for a while. Your recipes are inspiring though. I may have to go to the farmer’s market to get some. Thank you again for the inspiration. This is a good one that also uses up fresh cherry or other ripe tomatoes. I’ve served it as a meatless main dish, and also added pan browned chicken chunks that were sprinkled with dried basil, oregano and lots of fresh pepper. The leftovers are just as good reheated. Kit thank you for sharing! What a lovely article and the photos are amazing too! I love how you put together these information on “In The Garden: All The Zucchini (and all the ways to eat it)”. Easy to read, very relatable and great tips! Can’t wait to read more! So before you get slammed by tomato season my advice is to roast them and freeze them instead of canning. I HATE canning because I always burn myself. Also time. I halve or quarter them, fill up a roasting pan and roast at 450 (can’t remember how long) then freeze in 4 cup portions minus the juice. The flavor is awesome and I just sub them in any recipe that calls for fresh (like this one http://allrecipes.com/recipe/39544/garden-fresh-tomato-soup/?event8=1&prop24=SR_Title&e11=tomato%20soup&e8=Quick%20Search&event10=1&e7=Home%20Page). 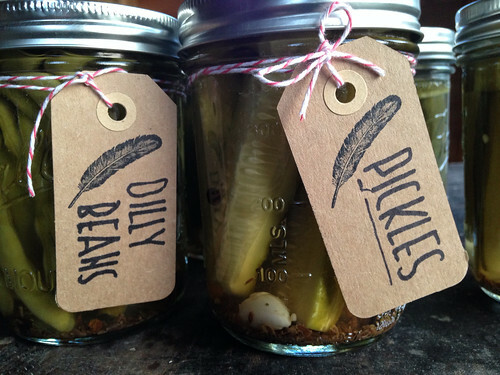 Super easy and I don’t have to worry about botulism! My Mom got a giant zucchini from a friend’s garden once. She sliced it, lightly breaded it and pan fried it in a lemon infused oil. It was so yummy and fresh that we ate the whole thing. Lemon infused oil sounds great! I like to prepare mine the same way and serve it with Dijon mustard. It is always good to have your beautiful garden and spend quality time in the garden and grow beautiful flowers and healthy vegetables. Zucchini’s a staple in my fridge. Love them on my salads, pickles and even a go-to snack for me & my kids. Thanks for sharing! The best way to eat zucchini is to consume is raw. 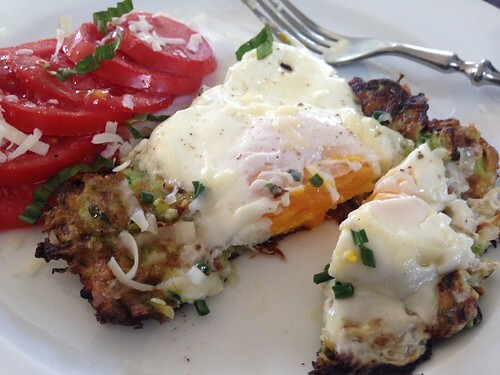 However, salads and raw dishes are not the only way to enjoy this healthy summer squash. You can add zucchini to your muffins and cakes, soups, tacos and other entrees.